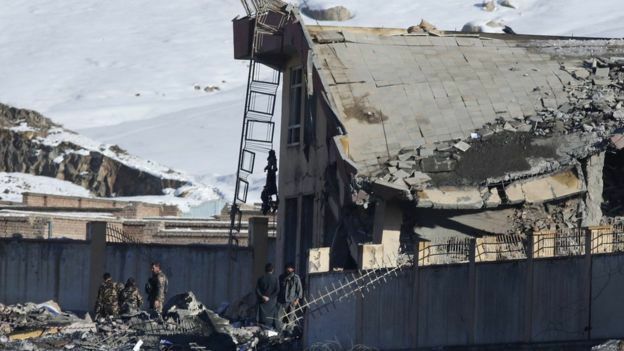 On Monday the Taliban attacked a military base in the Afghan province of Wardak west of Kabul. The death toll estimates are over 100 with government officials refusing to confirm exact numbers. At a training center on the grounds of the base, the attackers blew up a captured Humvee loaded with explosives. The detonation caused the building to collapse killing the majority of the casualties. After the explosion at least two gunmen opened fire and were subsequently shot down. Also, security forces prevented three suicide attackers trying to blow themselves up. The Taliban claimed the attack to themselves saying it caused a death toll of 190 people. During the past years, the Taliban has grown more confident and has stepped up their attacks against military bases, soldiers, and police. The attack comes right amidst peace talks with the US in Qatar that the Taliban has agreed to participate in.